This Tombstone Silhouette Target is a man size silhouette, approximately 18 inches wide by 30 inches high, and die-cut from 1/8” corrugated board. 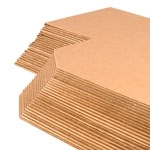 The targets are kraft brown color front and back, with perforated scoring lines. 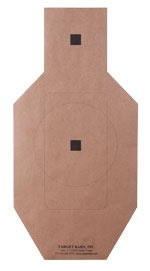 This target is now the primary cardboard target used in all Glock Sport Shooting Foundation sanctioned shooting events, and is also used at the I.C.O.R.E. Revolver shooting tournaments. 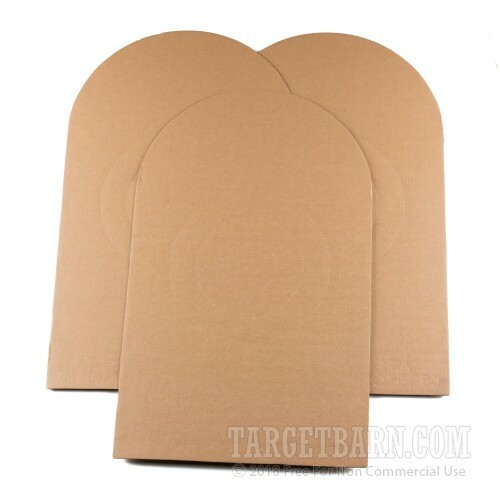 Don’t forget to order a few boxes of Tan Pasters (TP-TAN, boxed 1,000 per dispenser box) or (TP-Tan-NB, unboxed at a lower price) to cover the bullet holes in these targets. 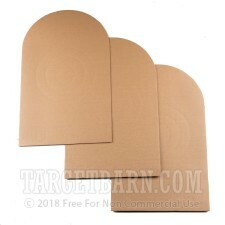 Target Barn also sells two lower cost paper targets, plus repair centers for lower cost training and practice between matches. They are NRA D-1-P, NRA D-1-T, and D-1-C-Tan centers. 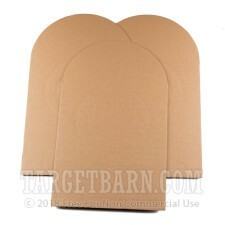 these are the targets used at GSSF matches. 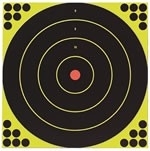 the rings are for scoring, not seeing, you are supposed to shoot center mass. The perforations aren't deep enough, making the circles hard to see. Plus, the bullet holes only show up where I point the pistol. There aren't many places that carry these, and when you find them they're overpriced. Target Barn had the best price. 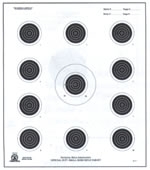 This is the official target used at all Glock Sport Shooting Foundation matches across the country. The NRA D1 targets are used in the Glock GSSF matches and I practice and train with them. only complaint is the shipping charges, which I believe is out of your hands. We will order from you again.